Porsche will say farewell to the 991-generation 911 with a limited-production Speedster variant, which will be unveiled at next week's New York motor show. Previewed by a black and white image of the finished car that was sent by a customer to US website Carbuzz, the Speedster will stay largely faithful to the concept version, bar a change in alloy wheel design. Confirmed for production last summer and previewed by the Speedster concept, its the return of a sought-after special variant first produced in the 1950s. 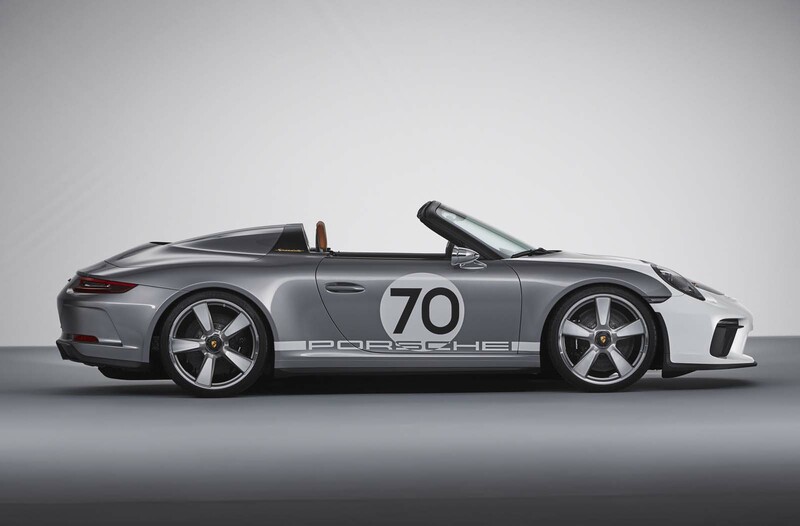 The brand will produce 1948 examples of the Speedster, a number marking the brand's 70th anniversary last year. The thinly disguised test mules, seen testing alongside the latest 992 generation car, first showed the roof layout in detail. New 21in cross-spoke wheels feature and are likely to be carried over to the production version, as is the car’s 4.0-litre flat six engine, borrowed from the GT3, and manual gearbox. The first of the two design studies was put on display at Goodwood last year as part of Porsche's wide-ranging anniversary celebrations. Power output is believed to be more than 500bhp, but it's not clear yet whether Porsche will upgrade the existing GT3 engine or use the more powerful unit from the GT3 RS. Either way, it's expected to retain the same 9000rpm rev limit. The Speedster is the combined work of Porsche's GT division and its Exclusive arm, mixing its finest engineering department with the one responsible for bespoke designs. 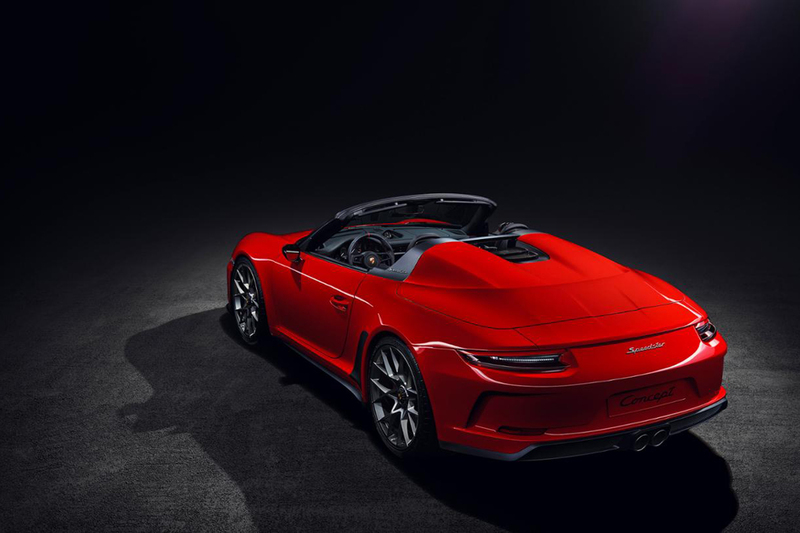 The 911 Speedster will have a lightweight tonneau cover rather than a convertible top, while other weight reduction measures include the removal of the sat-nav, audio and air-con systems. The bucket seats are made of carbonfibre. The concept’s body is based on that of the 911 Carrera 4 Cabriolet but with the wings, bonnet and engine cover made from lightweight carbonfibre composite. A rear cover, also made of carbonfibre, connects behind the front seats, covering the rollover structure and featuring a ‘double bubble’ – an iconic design element of 911 Speedster models since 1988. The previous Speedster cost about £50,000 more than the GT3 of the time, suggesting the new model could sell for more than £155,000. "Fly line" isn't a thing. No, no it isn’t, infact of all Cars that are bedecaled this is quite restrained even the different paint job on the front works, well it works for that is. Wow, an exquisitly detailed car, in the best tradition of German industrial design, nearly as impressive as the original TT. Not sure about the two tone paint though. He cost more than a million.